A body is discovered in a warehouse, burned to death. The victim used to be a member of a Lewes Bonfire Society, and with Bonfire Night coming up, DI Angus Henderson needs to consider if rivalry between the Societies is behind this. A former friend, Guy Barton, soon comes to the fore, as not only was he involved in a fight with the victim, the victim also had an affair with his wife. 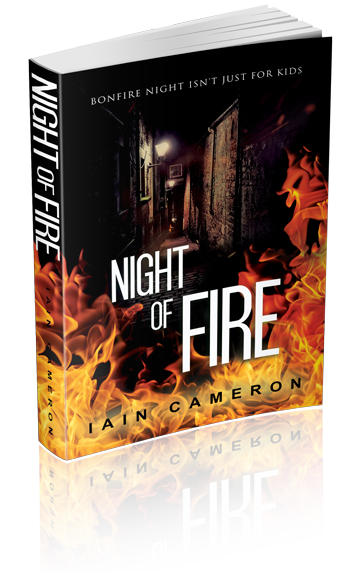 Bonfire Night arrives and criminals use the noisy event to stage an audacious heist. Henderson becomes involved but receives a shock when he discovers who is behind it. The evidence against any murder suspect isn’t strong and the case is about to be shelved. A new lead is unearthed that allows Henderson to confront the real culprit, but in doing so it pushes him and DS Walters into the gun sights of a deranged killer.